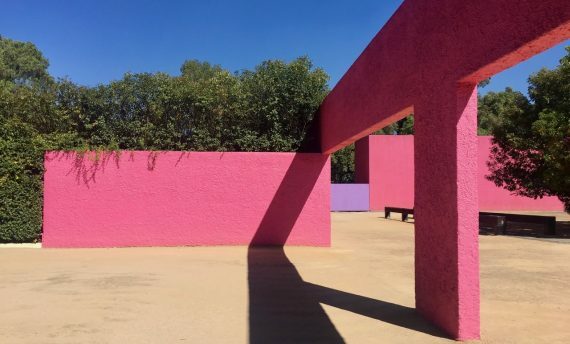 On our daylong Luis Barragan Tour, follow in the footsteps of one of Mexico's most emblematic, but also most intensely-private architects: Luis Barragan. From his childhood and early career in Guadalajara to his move to Mexico City, our Luis Barragan Tour will have you discover this illustrious precursor of Mexican modern architecture through a wide variety of his work in the city, and how light, color, texture, space and even his deep-rooted faith were common denominators in all of his projects. 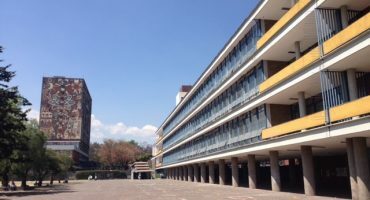 A journey into the life and work of the only Mexican Pritzker Prize winner and a master who has left an indelible imprint on his nation's architecture. 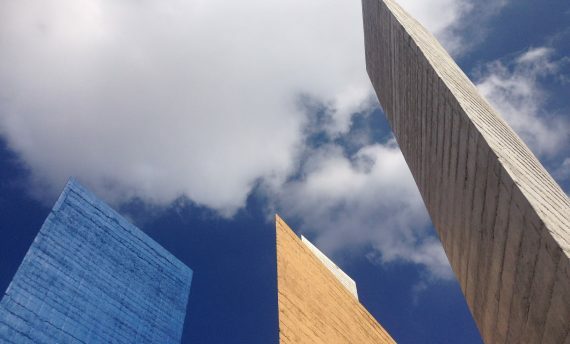 Welcome to Luis Barragan’s Mexico City! An iconic figure of modern Mexican architecture and the father of Emotional Architecture, Barragan’s designs reflect a universal view of architecture, successfully combining his native heritage and diverse influences from Europe and Africa. A master of shapes, textures and light, he skillfully integrates each of these element into his own remarkably unique creations. Whether he developed low-income housing, high-end residential projects or even public spaces, the work of Barragan is always characterized by clean, straight lines, smooth, streamlined surfaces and bright, cheerful tones. The Luis Barragan Tour offers two different itineraries depending on your preferences and which day of the week you choose to travel. 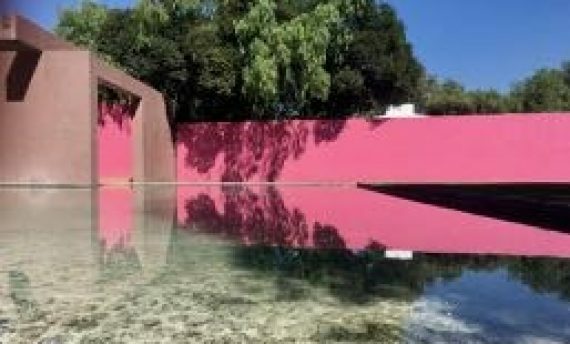 Both include exclusive access to private properties and other works Luis Barragán designed in Mexico City. 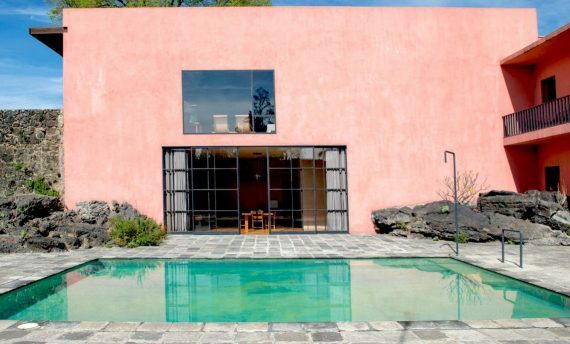 During our seven to eight-hour Luis Barragan Tour, we will explore the south of Mexico City where Barragán undertook a series of seminal projects. First, we will head to the Convent of Las Capuchinas (also known as the Covento de las Capuchinas or the Nasturtiums chapel). It is believed that his strong faith may have influenced him to design and even finance the construction of the convent. 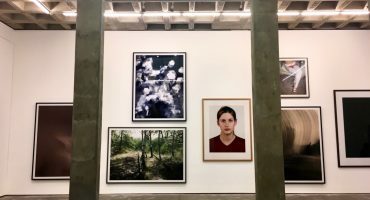 From there, we will beetle ourselves to University City, UNAM's main campus to take an up-close look at some of the work of designer Clara Porset's who often designed furtiture for Luis Barragan. We will then take a break to enjoy a healthy snack/picnic on campus, or a lunch at the cafeteria of the School of Architecture. After the lunch break, we will head to Casa Prieto López (1947-1951), also known as Casa Pedregal, designed and built for the Prieto Lopez family between 1947 and 1951 in the residential area of the Pedregal that sit on top of former lava fields. From there we will make our way towards Casa Gilardi built for the Gilardi family in 1976 and Barragan's last residential before the architect passed away in 1988. Prior to dropping you off at your hotel or wherever you are staying, and if time permits, we drive by La Condesa and Cuauhtémoc neighborhoods to discover Barragan's early work, strongly influenced by functionalism: a series of apartment buildings constructed between 1936 and 1940 and primarily meant to address social and economic needs. Finally for those of you who will have opted for a visit of Casa Barragán, we will tour the architect's personal residence which remains exactly as he left it, showcasing personal souvenirs, furniture, books, artwork and more. 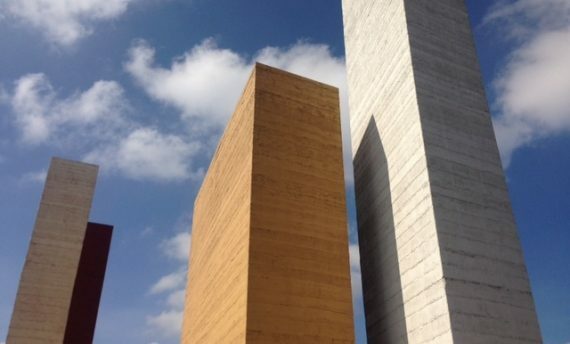 This second itinerary of our Luis Barragan Tour will be of the same duration as the one described above, but this time we will explore northern Mexico City, starting with the Towers of Satélite (Torres de Satélite), which Barragan designed in collaboration with Mathias Goeritz, an artist and close friend in 1957. The Towers of Satélite were Mexico's first large scale urban sculptures. From there we will head to "el Fracionamento de Los Clubes", a gated community which houses "La Fuente de Los Amantes" or The Fountain of the Lovers, and La Cuadra San Cirstobal a property housing a horse ranch and stables that Barragan built for the Egerstrom family between the years of 1966 and 1968. We will then make our way to the Paseo de Los Gigantes (The Promenade of The Giants names after its trees) to visit the Bebedero (the Through) and its white wall where Barragan once said that was building it so that the shadows of the nearby trees could rest. 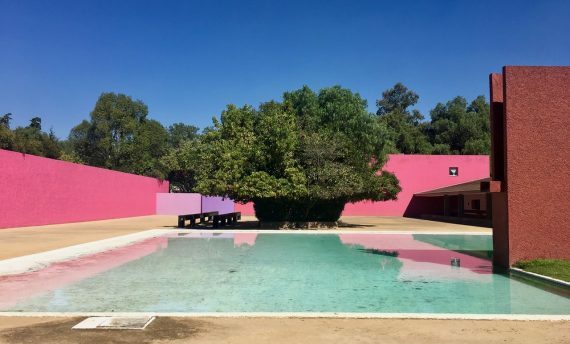 You will picnic there before heading back in to town to to see some of Barragan's earlier functionalist in the neighborhoods of Cuauhtémoc and San Rafael before heading to finish our tour at the Gilardi house or Casa Gilardi (the last house Barragan designed in 1976). 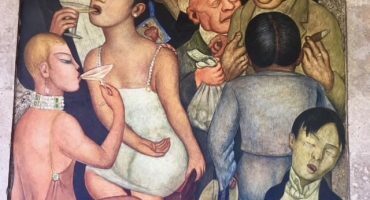 For those of you who will have opted to visit Casa Barragan (Barragan's personal house which is now a museum) we will wrap up the day there before dropping you off at the end of the day at your hotel or wherever you will be staying. * Discounts available for groups of 5 or more, please inquire. Children under the age 13 pay half-price. 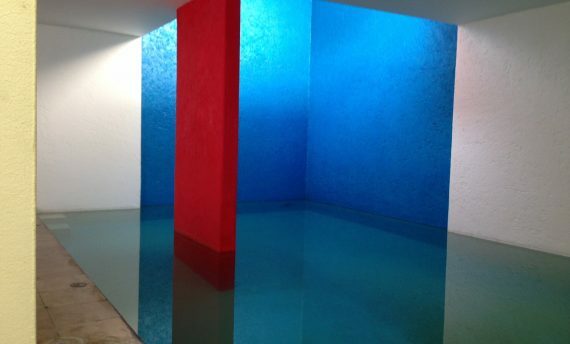 The Luis Barragan Tour, a must do if you're into architecture! 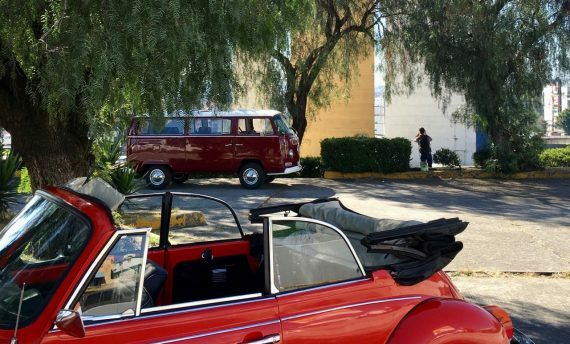 Based on the recommendation of friends of ours, who had taken this tour before, my partner and I booked The Luis Barragan tour with the Traveling Beetle. 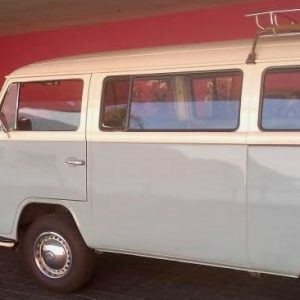 On the morning of the tour we were picked up right on time by our guide, Jose, in a early 1970's cute little VW bus to begin our journey north of the city. Our first stop was the Satellite towers, some tall and colorful conceptual towers Barragan designed on the outskirts of the city. From there, Jose then took us to Barragan's stables knows as the Cuadra San Cristobal, a large property and stables the architect designed in the suburbs of Mexico City. I must say that of all the properties we visited that day, the stables were definitely the highlight of our tour as they are simply strikingly beautiful. We then had lunch in nearby gardens where Barragan designed a trough before heading back into town where Jose had planned a few stops at buildings designed by Barragan before ending the day at Casa Gilardi one of the architect's latest projects. 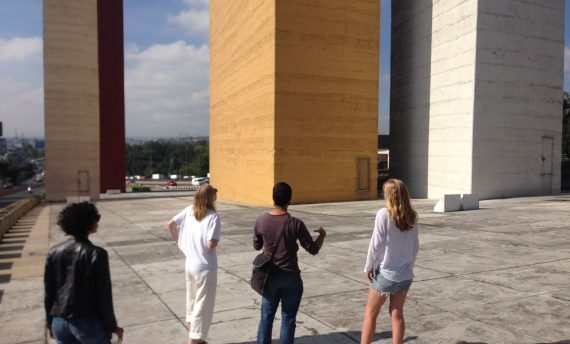 During the entire tour, Jose, an architect himself, took his time to explain to us not only the works of Barragan, but also how he "fit in" the modernist current in Mexico at the time. A nice note about the tour is that we never felt we were on any kind of a tight schedule and were always given ample time to walk around the properties, take pictures and even lay on the grass at the stables! Jose was an excellent guide, very knowledgeable, present when we need him, but always attentive to giving us enough space and freedom to discover each place at our own pace. Nico, the owner, whom we also got to meet for a quick coffee break in one of Barragan's buildings (where else would want to have coffee?) 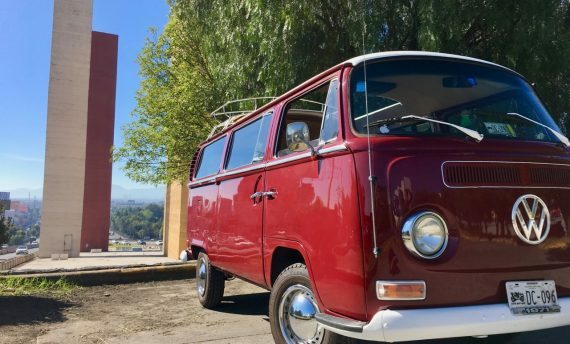 was very helpful in organizing our outing on a fairly short notice and even making sure our little Volkswagen bus had a sunroof so we could take in a little sunshine during our excursion. A truly memorable day and a tour that surpassed our expectations!